Understanding when to use their, there, and they’re can be confusing because they sound the same but have different spellings and meanings. You can team up with a classmate to come up with rules to understand these three words and other homophones. Your Turn With one or more classmates, carefully read the passage below, paying attention to their, there, and they’re. Analyze and discuss each set of sentences. What patterns do you notice? State a rule for each form: their, there, and they're. There are about 100,000 hairs on your head. They’re always growing—about 1/100 of an inch a day. They’re always falling out, too—from 25-125 hairs a day. The hairs on your head are there to help block out the sun. As you know, there are many kinds of hair, from very straight to very curly. Many girls wish their hair was curlier or wavier than it is. Unfortunately for men, they often lose their hair and become bald. Many people like to wear their hair very short, so they frequently get haircuts. 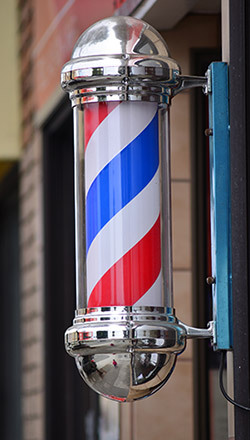 When it comes to haircuts, they’re only two barbershops in my neighborhood. I go to Mike’s Barbershop over there next to the bank. My sisters get their hair cut at a salon. They’re always trying new styles. Discovering Rules for Their, There, and They’re by Thoughtful Learning is licensed under a Creative Commons Attribution-NonCommercial-ShareAlike 4.0 International License. Based on a work at k12.thoughtfullearning.com/minilesson/discovering-rules-their-there-and-they%E2%80%99re. From the blog post "How to Engage Your Students with Shared Inquiry"